White designer kurta with Velvet cuff, collar and placket. Slight variation in colour might be possible. All other accessories are for photographic purposes. 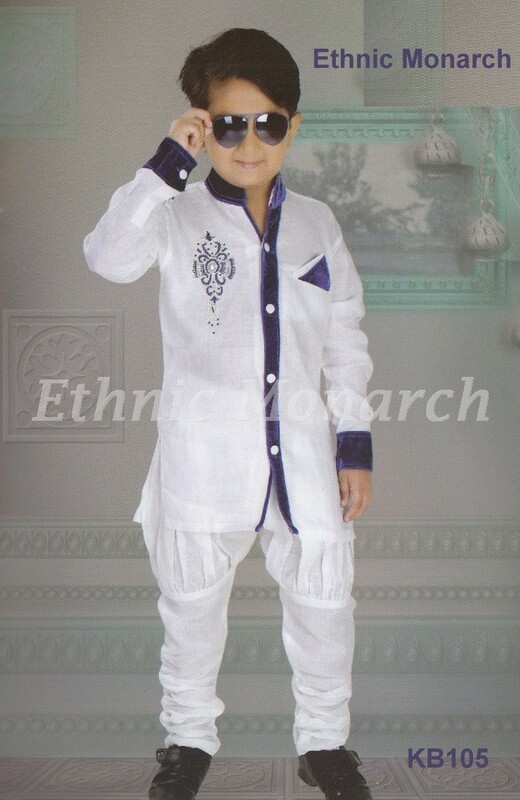 White designer kurta with Velvet cuff, collar and placket. Motive at front enhancing its look.Slight variation in colour might be possible. All other accessories are for photographic purposes.